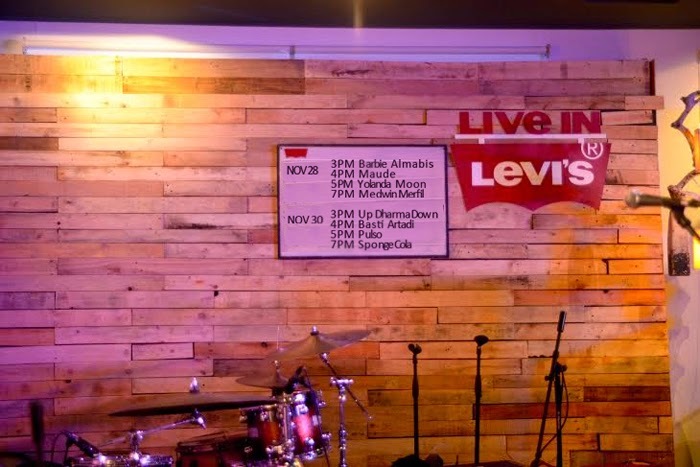 Customers can either have their new Levi's purchases or their old Levi’s jeans, iconic and denim pieces embellished, altered, cut, distressed and processed on the spot. 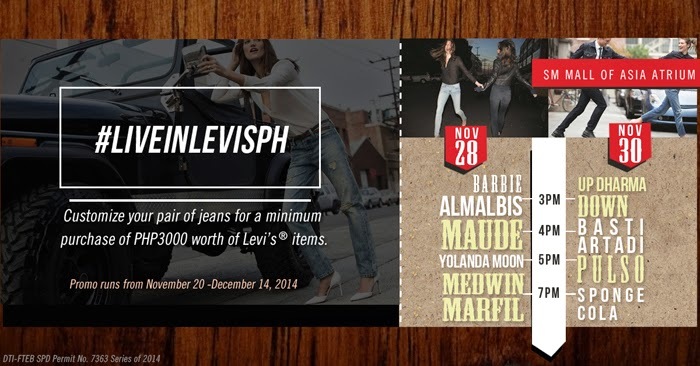 For a minimum single purchase of P3,000 at the Live In Levi’s Customization Shop or at any Levi’s store within the promo period of November 20 to December 14, 2014, customers can avail of free customization services. 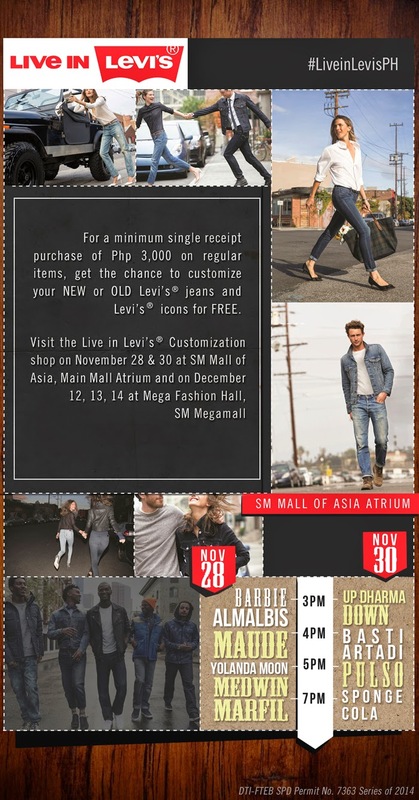 With the P3,000 purchase, customers will be given appointment cards which they must bring with them to the Live In Levi’s Customization Shop to avail of the free customization.